John Bedini had quite a long research based career in the field of electronics engineering. 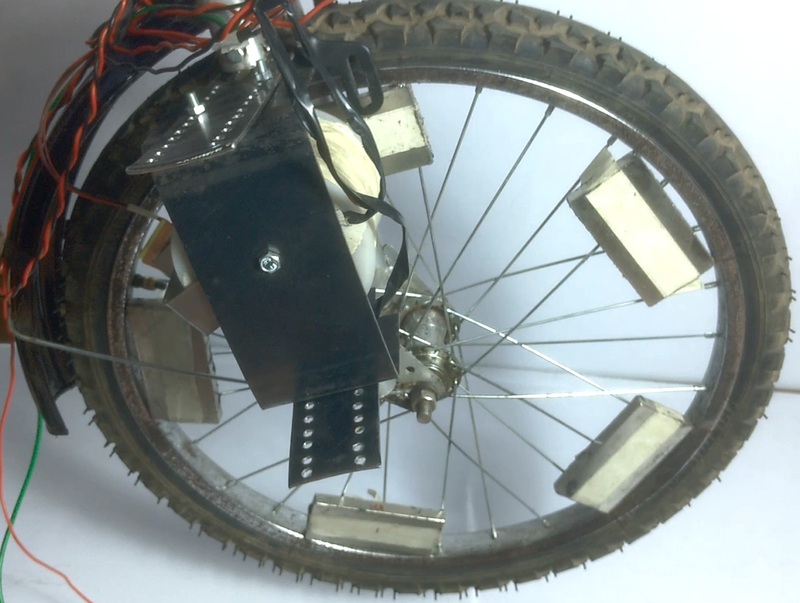 He once developed a simple wheel based generator motor for a friend’s daughter as a science project for school fair. It then came to be known as his “School Girl” motor, which was later adapted as “Simplified School Girl” (SSG) motor. We use a similar concept comprising of permanent magnets and powerful electromagnet to develop a motor that runs on electromagnetic flux generated. The electromagnet when activated attracts the nearby magnet by extending its attraction strength and as soon the magnet nears it releases its range in order to achieve wheel motion. Later when the next magnet comes in range the electromagnet is again activated and pulls the next magnet. We use an electronics circuit based on IR in order to activate and deactivate the electromagnet. Thus the system allows to achieve complete rotations at good speeds using this the bedini wheel mechanism.